SLIGO Rovers players have been praised by their manager following their second SSE Airtricity League Premier Division win of the season – Monday’s encouraging 2-1 away defeat of Bray Wanderers. Winger Caolan McAleer struck twice inside the first half-hour, but team manager Gerard Lyttle has also called on his players to maintain that level of football for 90 minutes. 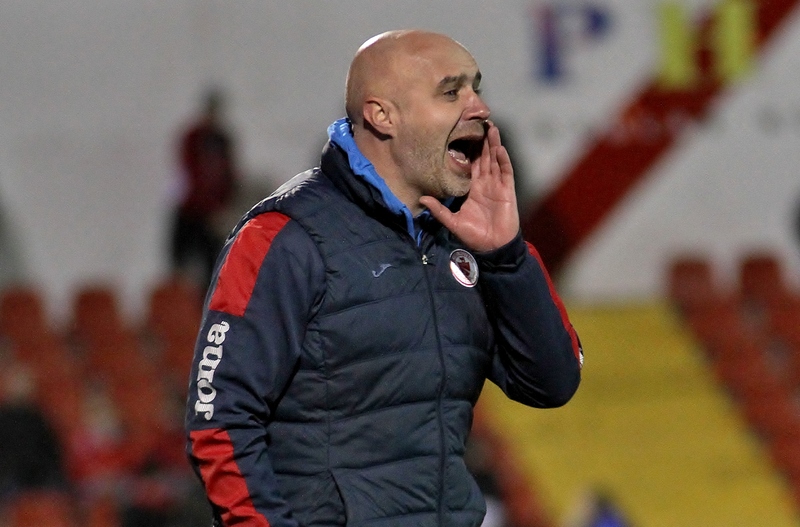 In what is already proving to be a highly-competitive top flight this season, even with five games played, Lyttle says it is too early to focus on their place in the table (third from bottom) as his team aim to unlock their full potential. Despite losing three of their opening five games, victory over Bray Wanderers means Rovers are still off to their best start since 2013, having failed to amass more than four points after five games in any season from 2014 to 2017. The erratic early form of Bohemians and St Patrick’s Athletic means there are just three points between the sides ahead of Rovers’ double-header away to the Dublin duo and Lyttle wants to make momentum earned from the win over Bray Wanderers to count. “Beating Bray Wanderers gave us good confidence going forward and we want to replicate that against Bohemians and St Pat’s,” he stressed.